BURLINGTON, ON – Nickel Brook Brewery has announced release details for this year’s vintage of it’s annual spiced and barrel-aged reserve ale. Our Cuvée is brewed with a proprietary blend of 9 unique fruits and spices, before being aged for a full year in bourbon barrels with wild yeast and bacteria. Our brewers then spend weeks blending the various barrels by hand to create the incredible final product, which is bottled and waxed by hand. 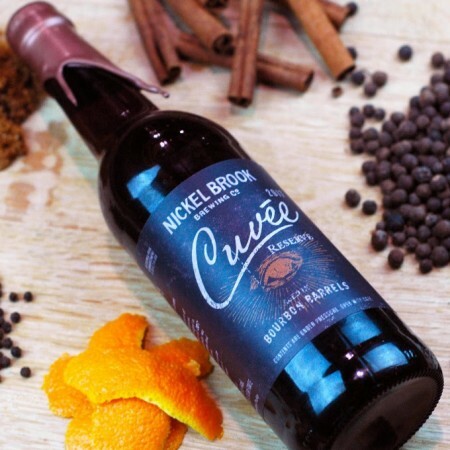 This year’s Nickel Brook Cuvée will be released tomorrow (December 1st) at the brewery bottle shop in wax-dipped 500 ml bottles, alongside a limited number of cellar-conditioned bottles of the 2016 vintage. The 2017 edition will also be at select LCBO stores starting next week while supplies last.